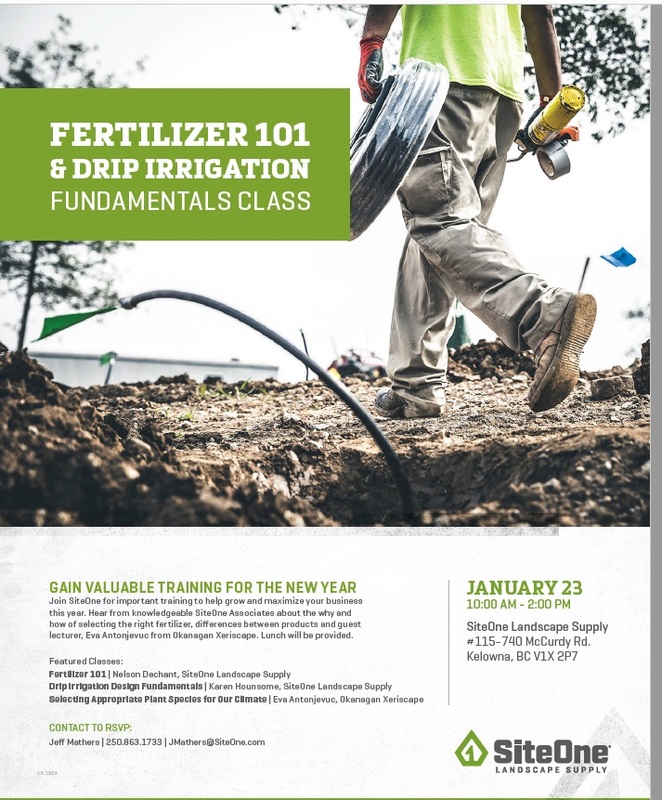 For those that can attend, SiteOne is hosting a free one day training session on Jan 23 2019 at their Kelowna site for anyone interested in learning more about fertilizer and drip irrigation basics. Excellent opportunity to interact one on one with leading industry experts. Lunch will be provided.